At the Plough we enjoy our real ales, and we take pride in the way that we keep them. We try to keep this list up to date, but as you hopefully understand real ale is a 'live' product and that means that the beers we have available on the bar can change during the day so what you see here may not be on the bar when you get to it. 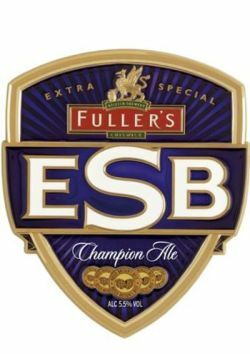 Description: Carefully selected pale, crystal and black malts join with Pilgrim, Challenger and First Gold Hops to make a complex, refreshing ale. The beer is also tasted at every part of the brewing process to guarantee the quality and consistency. 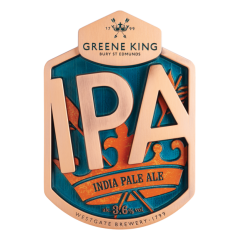 It takes 4-5 days to brew Greene King IPA. Description: Dark colour but without roasted malt bitterness; fresh full and fruity nose. Dark and Pale? Try one, see why! Description: A beautifully balanced beer, fruity by nature, with a well-rounded body and the suggestive echo of Crystal Malt. 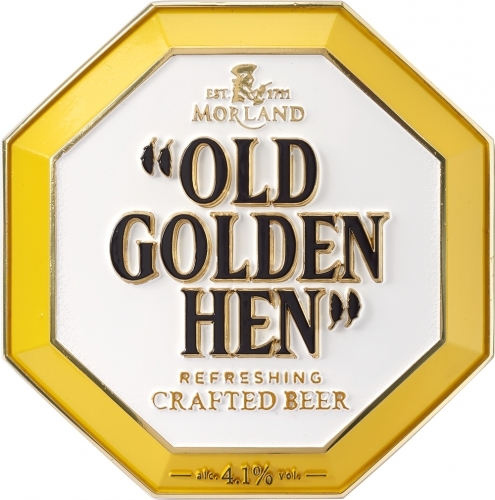 Description: Crafted by the master brewer of Old Speckled Hen. This light golden beer delivers both flavour and refreshment. Brewed using the finest malts and the rare Galaxy hop to give the light golden colour, subtle tropical fruit notes and a deliciously smooth finish.